I don’t want to crow, but I’ve been predicting this for years: the writedowns of Greek debt, accompanied by swingeing austerity conditions, popular unrest, and (shortly) Greek exit from the Euro. You don’t have to take my word for that: my book, Planet Ponzi, pretty much mapped out the course we’re now taking. But although the horizons are red with fire and every new day brings news and rumours of further catastrophe, you need to realise that we’re on the brink of something bad. We’re not actually in it. So what comes next? It’s a question that you may reasonably ask (worried about job, savings, wages, inflation). But it’s also the question which is being asked across Europe: in the governments of Greece and Spain, those of France and Germany, by the central banks, by the banking industry – and indeed, by every private sector entity which touches those things, which is to say absolutely everyone and everything. And no one knows. Or, to be precise, no one knows the exact way events will unfold, but there are some broad predictions which we can make with some confidence. Prediction One: Greece will leave the euro. The ‘bailout’ offered by the EU was help of absolutely the worst sort. It was generous enough (just!) to prompt a beleaguered government to accept it. But the terms were so parsimonious that it left Greece still just inches from the financial disaster zone. It was as if the EU saw a starving man and chose to give that man just enough food to keep him from death, but not enough to permit recovery. If the Greek people are rebelling against the terms they were offered, they have my sympathy. I think they’re right. Prediction Two: as Greece falls, the other weak countries of the Eurozone will come under intense pressure – worse than anything we saw even in the dark days of last autumn. Ireland (with its fundamentally strong, flexible and low-tax economy) will probably be OK. But the countries of southern Europe face some terrifying problems: weak growth, a woeful lack of flexibility, dodgy banks, and no fiscal room for anything except more austerity. And the thing is, if you take a reasonably decent economy – Ireland, Britain, Germany – and impose austerity, it’ll be painful (it always is) but you know that the economy will, sooner or later, spring back into growth. The situation in the south of Europe isn’t like that at all. Italy, despite years of easy money, grew by just 2.5 per cent between 2000 and 2010. That’s not 2.5 per cent a year, it’s 2.5 per cent a decade. Thus far, my predictions would be fairly widely shared among financial experts. Thereafter, it’s hard to read the future. Take, for example, the ‘simple’ question about what happens if Greece quits the Euro. Any business (and any bank) will have its liabilities denominated in euros, not drachma. Foreign creditors won’t want to be repaid in devalued drachma instead of the promised euros, so a wave of bankruptcies seems likely. Not just the government, but probably all of the banks, and countless businesses too. 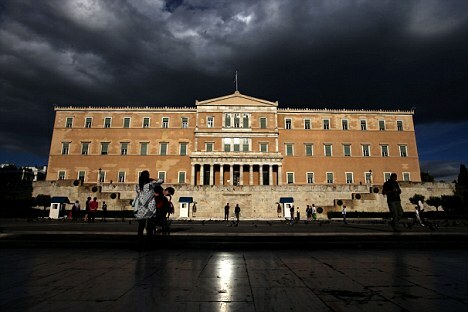 Naturally the Greek government will want to pass laws that reconstitute those businesses in double-quick time, but the scale of the task is Herculean. And the Greek government isn’t exactly noted for economic and administrative prowess. Since the imminent failure of Spain and Italy would create problems far larger in magnitude, the ripple effect could be enormous. In fact, can you scratch that term ‘ripple effect’. There are no ripples here, only tsunamis. Just think for example, how France would be affected by the collapse of Spain and Italy. The French economy is deeply entwined with those two and their failure would bring the financial storms right to the steps of the Quai D’Orsay. Francois Hollande may have been elected on a no-austerity platform, but he might as well promise an end to gravity. 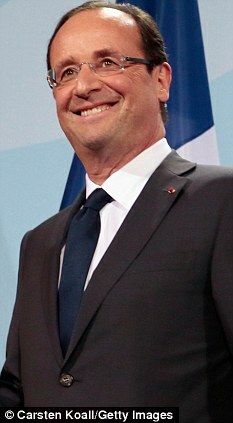 So, Prediction Four: the French are about to endure a savage austerity programme of their own. And bonne chance in explaining that one, Monsieur. Thereafter, what to say? The central banks won’t take any blame for creating more than a decade and a half of loose money and massively inflated asset prices. Politicians will continue to prefer comforting lies to brutal truths. No bankers will go to jail, even though they’ve done more than anyone else to create this mess. Germany will be fine. Britain too, in the long run, though it’ll be a long, slow slog: longer and slower than any of the official forecasts had predicted. And when even Ed Balls is still mulling the possibility of a British referendum on Europe, who knows how far the whole European project might yet unravel? But these are big questions and perhaps distant ones. What about you? Your job, your savings, your pension? Well, I honestly hope and pray you’ll be OK. These are rough waters we’re entering. We ain’t seen nothing yet.